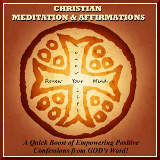 Christian Meditation Guide Book Now Available! 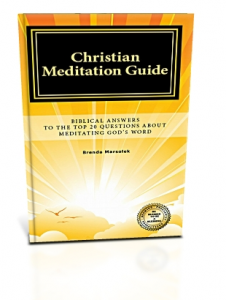 Growing Prosperity Productions Presents: “CHRISTIAN MEDITATION GUIDE: Biblical Answers To The Top 20 Questions About Meditating God’s Word” by Brenda Marsolek. This book was published late February 2012 and is now available for purchase as an ebook and print book. YES, Christians need to Meditate His Word! So let’s get started clearing up the confusion. I’m sure you too have had some of the same questions included in this book…and I trust the answers will help open the eyes of your heart, as they did mine, to the mind and life-transforming power of meditating the living Word of God! 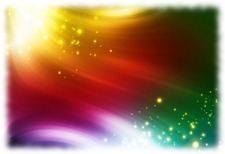 I originally addressed and wrote these Christian Meditation questions and answers, in December 2009. 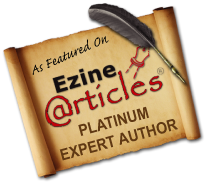 I published them online individually as articles and also as an email series. This Christian Meditation Guide is now expanded and published in book form as a response to the requests to have it compiled in one handy reference. 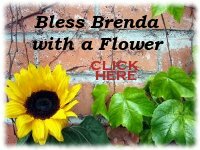 My prayer and desire is that this resource is a blessing to you, and that you are encouraged and inspired to make Christian Meditation a daily part of your life. 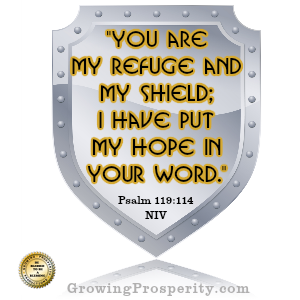 I pray that you will be empowered with Gods’ Word and live always in the peace of his presence! Be Blessed to Be a Blessing! God bless you always! late December, the second in a series of Christian Meditation audios. If you are struggling with health challenges, then you’ll want to check out this album. 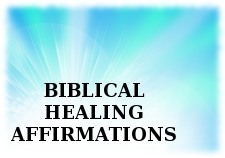 In this Christian Meditation resource, you’ll find over 47 Scripture Based Healing Affirmations and also a Biblical Prayer for Health. This audio resource was created to help you renew your mind to what the Word of God says about healing, to increase your faith, and to also help you receive the healing God has provided for you through Jesus Christ. Take “GOD’s Medicine” daily by meditating and confessing His Word in faith. Watch as your spirit rises up strong within you, and I pray that GOD’s divine, supernatural healing power be manifested in your body, to the praise and glory of our GOD! 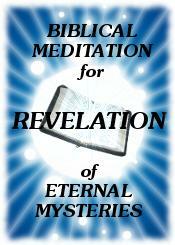 Powerful Meditation – Can Christian Meditation Bring Revelation of Eternal Mysteries? God’s Word is packed full of eternal mysteries just waiting for the diligent, faithful believer to discover. And just as discoveries in the natural world, benefit society, so do spiritual discoveries found in the living Word of God. Consider the natural law of electricity, which has always been. Once discovered, the world was forever changed. Now consider God’s spiritual laws revealed in His Word. 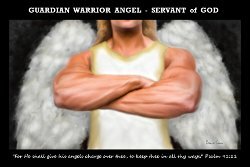 They have the greatest power for transformation in all areas of our lives. Believers who meditate the spiritual truths of God’s Word are sometimes compared to scientists in the natural realm. Why? Because in a very real sense, it involves the study and experimentation of God’s laws; which then result in discovery. And this discovery is God’s revelation to us. What people tend to call discovery is really the revelation of God. Spiritual wonders and revelation await us when we begin to meditate on the laws of God. If we will meditate day and night on the Lord and on His Word, we will be the ones bringing the latest revelations to the world. It first takes meditation on the information acquired from the Word of God, in order to receive revelation. Information alone will not bring revelation. Revelation knowledge comes from meditation in the Word of God and is revealed by the Holy Spirit. God is a spirit and His truths are revealed through our spirit. Ephesians 1:17 shows Paul praying to God, and asking that He would give unto us the spirit of wisdom and revelation in the knowledge of Him. This is not just information, but revelation knowledge revealed by the Holy Spirit. Christian meditation, on biblical truths, opens the door to life transforming power; by allowing the Holy Spirit to reveal revelation knowledge. It gets even better. When believers mix their faith with the revelation knowledge of God’s Word, they soon manifest the blessings and promises of God in their life. Are you ready to do what it takes to allow life transforming revelation knowledge to come into your life? Why not get started today making Christian meditation on the Word of God a daily habit?